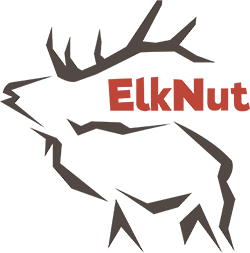 This combo pairs The ElkNut 5: Basic Elk Sounds for Success DVD (includes bonus MP3 disc with audio only portion from DVD) and Elk Hunting Techniques: Advertising and Breeding Sequences (also includes bonus MP3 disc with audio only portion from DVD). Please see the individual titles for detailed descriptions of these exciting DVDs. The ElkNut 5: Basic Elk Sounds for Success DVD is one hour and 30 minutes long. Elk Hunting Techniques: Advertising and Breeding Sequences is one hour long. A total of two and a half hours of unique elk vocalization instruction is found in this package deal. Click the button below to add the Two DVDs The ElkNut 5 & Advertising & Breeding Sequences - pkg 1 to your wish list.